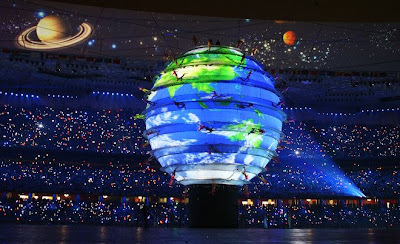 Did you watch the opening ceremonies for the Olympics last night? Wow! I mean, WOW! 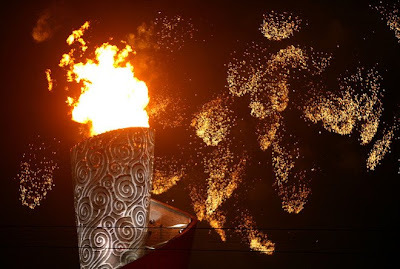 Some years I find that I'm more into the Olympics than other years, but last night's ceremonies were amazing! Truly amazing! I admit to being quite mesmerized by much of it. Even Bob Costas remarked about having to retire the award for opening ceremonies because nothing could top this. These are some of my favorite images so enjoy! I'm so bummed I missed it!